Most frequent questions and answers. If you cannot find your answer here feel free to Contact Us and we will do our best to help you. Can I only purchase one file without joining ? No. Membership is required even for the purchase of one file. Membership is a great way to take advantage of many files at an amazing price. We hate to see you leave our community, but we understand if you must. The cancellation of your membership is totally your responsibility. You can end your membership here. We ask if at all possible please take the short survey that will be emailed to you upon cancellation. It will help us create a better website for the DXFs community. Do you do Custom Design Work ? Yes and No. I don’t usually take on custom design work anymore because I don’t have the time, however sometimes I do. It all depends on timing. Contact me and ask. It never hurts to ask. We would be more than happy to have you join our community. If you enjoy DXF files as much as we do and you want to offer your customers high end designs without tons of needless contour and line segments then go here to join. How do you open the files ? The files you will receive will be in a zip file format. A zip file is a computer file whose contents of one or more files are compressed for storage or transmission. You can use your computers default application for unpacking the zip files or you can use a program like 7-zip at 7-zip.org. Where are my files ? 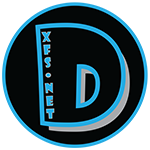 Once you have gained access or membership to DXFs.Net you can browse the files available for your membership type. Once you find an active file you like, click the link for that file you want to download. The file will then download to your computer to where your browser is setup to download files. In most cases it will be in your “Downloads” directory.